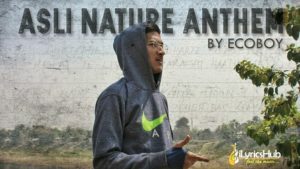 Asli Nature Anthem Lyrics in the voice of Eco Boy. The music of the new song is given by Prantik Dey while Lyrics are also penned by Eco Boy. The composition of this song is inspired from ‘Asli Hip Hop’ sung by Ranveer Singh in the film ‘Gully Boy’ . Pradushan Se Bachayein Hindustan Ko Kya !